In a move that goes against the current political climate in the EU vis-à-vis China, the EU’s top association of retailers is calling for a free trade agreement with China. The Foreign Trade Association is traditionally seen as mainly an importers’ association. The group has long been a critic of EU anti-dumping policy, for example, calling for greater transparency and clear limits to the practice. The FTA is also squarely in favour of giving China market economy treatment in EU anti-dumping legislation. Now that China is becoming more prosperous and climbing the value chain, China is becoming a market in its own right for the association’s members. In a position paper released today (21 April) the association writes that China accounts for 54 percent of its members’ non food product imports. “At the same time, China is gaining importance as an export and investment destination for FTA members”, the paper reads. Citing a research study undertaken by the thinktank CEPS in Brussels and the World Trade Institute in Berne that was released on Wednesday (20 April), the retailer group argues that “an ambitious free trade agreement between the EU and China could have an estimated GDP impact of 1.87% on China and 0.76% on the EU by 2030. The study “adds weight to FTA’s calls for the EU and China to embark on negotiating such an agreement as soon as possible”, the association believes. The key trade obstacles the Foreign Trade Association wants to see tackled with China – whether outside or inside a trade deal – are unpredictable Chinese customs procedures, imbalanced management of product safety rules, China’s “Buy Chinese” policy in public procurement, discrimination against foreign retailers in granting operating licenses and in allocating prime real estate. The Foreign Trade Association sees the conclusion of the ongoing bilateral investment treaty negotiations with the EU as a “stepping stone to a free trade agreement”. But Jacques Pelkmans, Senior Fellow at CEPS said that the agreement can only succeed if China “walks the talk” on economic reforms in China aimed at liberalising investment and services. 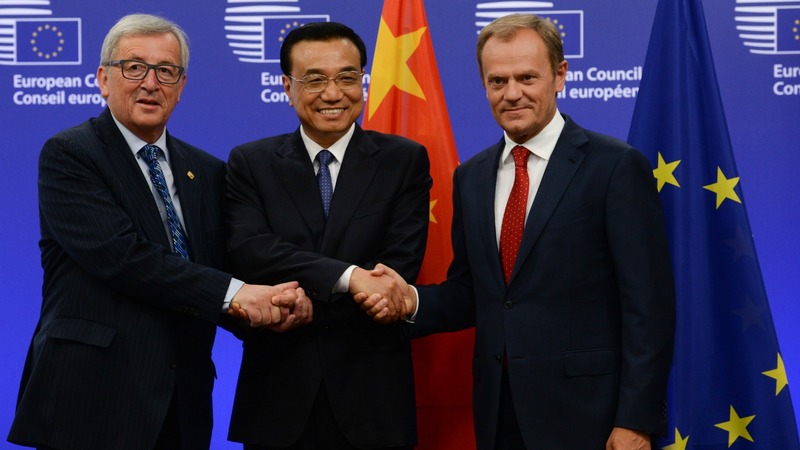 An FTA with the EU has long been a wish expressed by Beijing. So far the EU has not responded positively. Dumb bastards, if you let state sponsored companies destroy or buy your domestic companies you lose intellectual capital that you will most likely never regain.